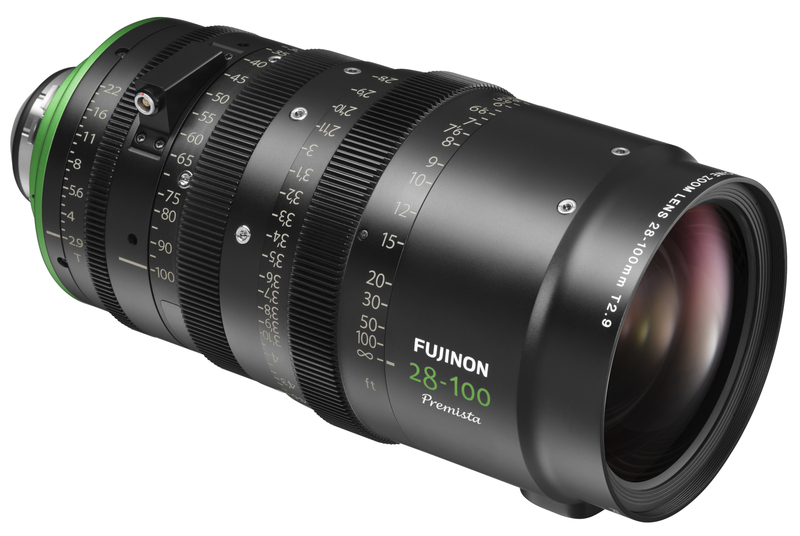 In response to this demand, Fujifilm will release the FUJINON Premista 28-100mm T2.9 (“Premista 28-100mm”) in summer 2019 (USD $38,800), followed by the launch of the FUJINON Premista 80-250mm T2.9-3.5 (“Premista 80-250mm”) before the end of 2019. Together, the lenses will cover the most frequently used focal lengths from 28mm to 250mm. The Premista 28-100mm has a constant T2.9 speed across the entire zoom range and the Premista 80-250mm has a constant T2.9 speed from 80-200mm, before gradually ramping less than full stop to T3.5 between 201-250mm. Both lenses cover a 46.3mm image circle, which covers all current large format digital cinema cameras available for purchase. Fujifilm has been deeply rooted in the film industry since its first product, motion picture film, was launched in 1934. 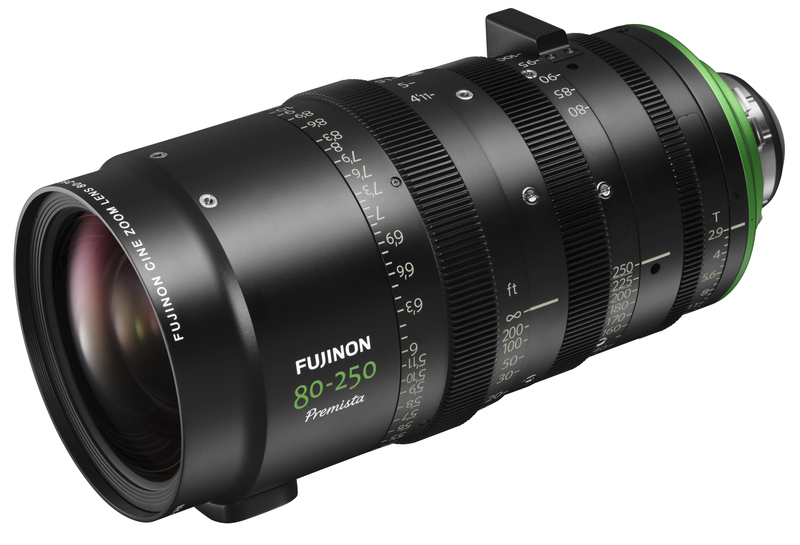 Fujifilm started research and development of cine lenses in 2000; 17 years later, FUJINON Cine Zoom Lenses were awarded a 69th Engineering Emmy® Award by the Academy of Television Arts and Sciences. Approx. Length: 255mm / 10 in. 255mm / 10 in. Approx. Weight: 3.8kg / 8.4lbs. 3.8kg / 8.4lbs. FUJIFILM North America Corporation, a marketing subsidiary of FUJIFILM Holdings America Corporation consists of five operating divisions and one subsidiary company. The Imaging Division provides consumer and commercial photographic products and services, including: photographic paper; digital printing equipment, along with service and support; personalized photo products; film; and one-time-use cameras; and also markets motion picture archival film and on-set color management solutions to the motion picture, broadcast and production industries. The Electronic Imaging Division markets consumer digital cameras, and the Graphic Systems Division supplies products and services to the graphic printing industry. The Optical Devices Division provides optical lenses for the broadcast, cinematography, closed circuit television, videography and industrial markets, and also markets binoculars. The Industrial and Corporate New Business Development Division delivers new products derived from Fujifilm technologies. FUJIFILM Canada Inc. sells and markets a range of Fujifilm products and services in Canada. Image sensor equipped with 43.2~46.3mm image size (diagonal). gradually from 200mm to 250mm. As of April 2019. Excludes ARRI Alexa65. Standard six cine prime lenses: 29mm, 35mm, 40mm, 65mm, 85mm, 100mm.